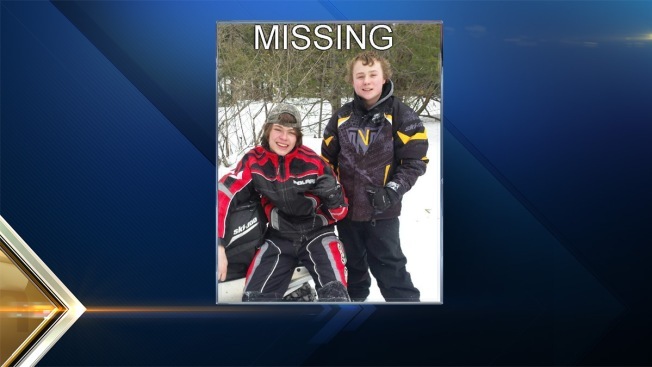 Authorities say two 15-year-old Rhode Island boys spent the night in below-zero temperatures after their snowmobile got stuck in Maine. Wardens say Ty Howard-Gotto and Jonah May from North Smithfield were found unharmed Tuesday morning. Wardens say they took a wrong turn after leaving the town of Mexico at 7:30 p.m. Monday for their grandfather's camp in nearby Andover - then their snowmobile became stuck. Howard-Gotto says they used gas from a shed to start a fire to warm up, then spent part of the night wrapped in tarps in a golf cart inside the structure. The temperature dipped to 9 degrees below zero, and the wind chill made it feel like 25 below. The boys were found hours later by a passer-by.